Win a KitchenAid® Stand Mixer & Food Processor Attachment! Home » October Unprocessed Posts » Win a KitchenAid® Stand Mixer & New Food Processor Attachment for October Unprocessed! Update – September 30, 2014: The giveaway has now ended, and the winner has been notified. Thank you so much to everyone who entered, shared, and commented. I love that everyone is so excited about tools to help them cook more real food! Your enthusiasm is a great inspiration to me – truly! I’m a fan of any kitchen tool that truly makes life easier… so it’ll come as no surprise when I tell you I love our KitchenAid stand mixer. It makes quick work of foods like bread dough and pizza dough, butter (yes, really), and even homemade seitan. If you’ve ever tried to make whipped cream by hand, you’ll know exactly what I’m talking about. The ExactSlice™ Food Processor Attachment is like having the top half of a stand-alone food processor. It’ll shred, slice, dice, and even julienne. It’ll be especially handy for folks with limited counter space, since it’s a lot easier to store in a cabinet or on a shelf than a heavy, full-size food processor. 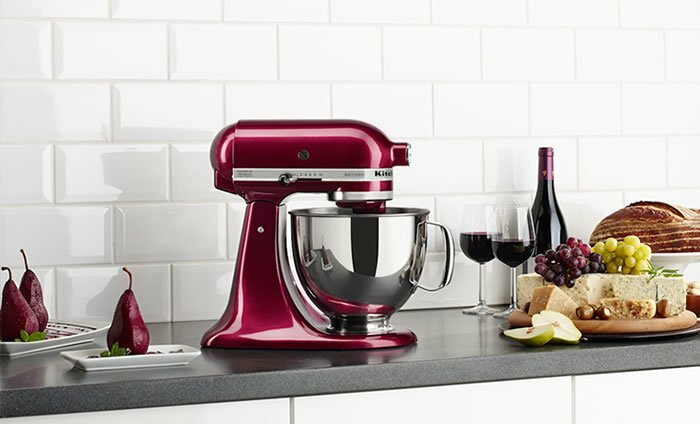 KitchenAid has also just rolled out three gorgeous new colors in their Artisan® series: Bordeaux, Sea Glass, and Lavender. Okay, so let’s get on to the good stuff: One lucky October Unprocessed challenger is about to score some serious loot, compliments of KitchenAid: An Artisan Stand Mixer in your choice of one of the new colors, and the ExactSlice Food Processor attachment to go with it. That’s value of nearly $530! Want more info? 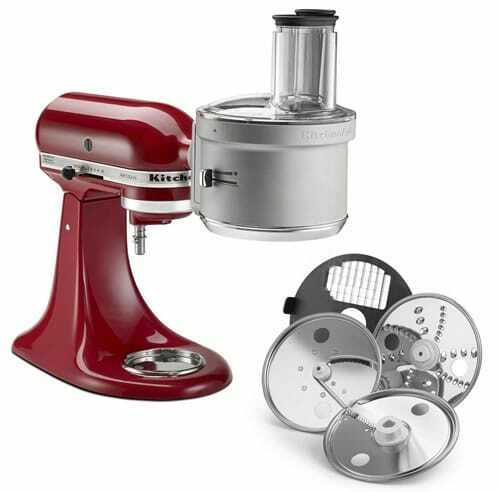 Visit the KitchenAid website for their Artisan Series Stand Mixers and the new Food Processor Attachment. And of course, you can buy them on Amazon, too (though the new colors are so new I’m not sure they’re available anywhere else just yet). 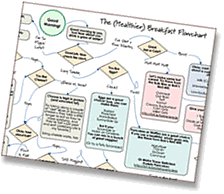 First you’ll need to go take the October Unprocessed pledge (if you haven’t already). Then in the Rafflecopter widget below, log in with Facebook or your email address. Confirm that you took the pledge (which is your first entry), and that will also unlock several more ways you can enter. Thank you to KitchenAid for donating the awesome prize, and for my friend Rachel for helping make this giveaway happen. Awesome. Apologies to my Canadian friends, but you must live in the United States, and be over the age of 18, to enter. Once the giveaway ends, I’ll use Rafflecopter to draw a winner at random, and then will contact the winner via email. She or he will have three days to respond, or I’ll pick a new random winner. Good luck! I never knew about making pizza dough or butter in a kitchen aid! I’d love to try making pizza dough in a new kitchen aid! I love the red! and the teal! wowowow!! I’d love to bake some bread! Karen, we use our KitchenAid (not this lovely model) for bread making often! It makes kneading so easy. These are beautiful! Love the sea glass one. The first thing I would make in my new KitchenAid Stand Mixer would probably be whole wheat pancakes! Looks like an amazing machine! Would love to have one!